When I was a kid, my parents followed a simple formula at mealtime. Protein was the star while vegetables and carbohydrates played supporting roles. This has long been the plate setup in American culture and the dictionary definition of a well-rounded meal. While it may hurt our pride to admit it, the United States isn’t exactly winning in the health department as compared to other countries. In the U.S., obesity, diabetes, and heart disease are all on the rise. Meanwhile, on the shores of the Mediterranean, people live longer and healthier lives, which makes me wonder if we might want to rethink how we build our plates here at home. While there are conflicting opinions on protein and carbs, almost everyone is in agreement about the fact that eating vegetables is good for you. In fact, registered dietitians are taking a page out of the Mediterranean diet rulebook by recommending that their clients fill half their plates with veggies. The “50 percent” rule puts vegetables in the spotlight. 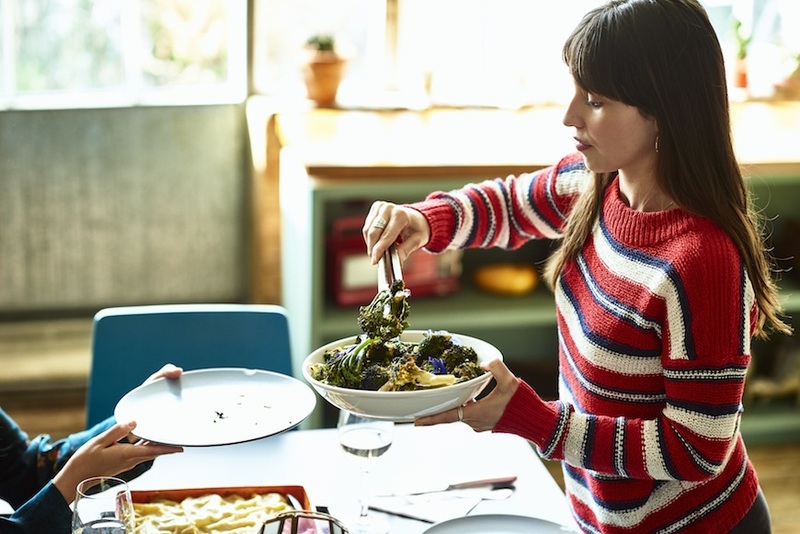 “It’s a good—nay, great—rule to follow to maximize your nutrient intake at your meals,” says registered dietitian Tracy Lockwood Beckerman, the host of Well+Good’s You Vs. Food YouTube series. “It helps you look at your plate in a balanced way by breaking it up into percentages without getting fixated on calories, numbers, and micro and macronutrients.” Indeed, the 50 percent rule is easier than counting calories. With so much confusion surrounding food and nutrition, such a simple visual rule to follow is thoroughly refreshing. And of course the only way to know if it’s worth sticking to is how it makes you feel. A body running on plant-power? How European! Here’s how to eat more vegetables if you’re not used to filling your plate with them. And does zapping vegetables in the microwaves deplete their nutrients. We’ve got the answer.